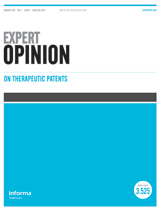 Expert Opinion on Therapeutic Patents has retracted a 2015 review article about natural fighters of cancer stem cells for reproducing “content to a high degree of similarity without appropriate attribution or acknowledgement” from a handful of papers. Poll: What to do when peer review feels inadequate? How should scientists think about papers that have undergone what appears to be a cursory peer review? Perhaps the papers were reviewed in a day — or less — or simply green-lighted by an editor, without an outside look. That’s a question Dorothy Bishop, an Oxford University autism researcher, asked herself when she noticed some troubling trends in four autism journals. Recently, Bishop sparked a firestorm when she wrote several blog posts arguing that these four autism journals had a serious problem. For instance, she found that Johnny Matson, then-editor of Research in Developmental Disabilities and Research in Autism Spectrum Disorders, had an unusually high rate of citing his own research – 55% of his citations are to his own papers, according to Bishop. Matson also published a lot in his own journals – 10% of the papers published in Research in Autism Spectrum Disorders since Matson took over in 2007 have been his. Matson’s prodigious self-citation in Research in Autism Spectrum Disorders was initially pointed out by autism researcher Michelle Dawson, as noted in Bishop’s original post. Short peer reviews of a day or less were also common. 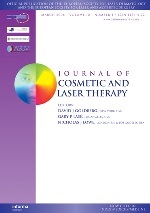 Matson no longer edits the journals, both published by Elsevier. 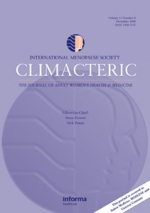 Bishop noted similar findings at Developmental Neurorehabilitation and Journal of Developmental and Physical Disabilities, where the editors (and Matson) frequently published in each others’ journals, and they often had short peer reviews: The median time for Matson’s papers in Developmental Neurorehabilitation between 2010 and 2014 was a day, and many were accepted the day they were submitted, says Bishop. 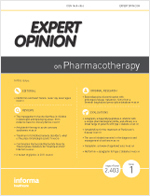 Continue reading Poll: What to do when peer review feels inadequate? Posted on April 8, 2015 April 16, 2015 Author Cat FergusonCategories Developmental Neurorehabilitation, elsevier, ferric fang, informa healthcare, Journal of Developmental and Physical Disabilities, peer review, Research in Autism Spectrum Disorders, Research in Developmental Disabilities, taylor and francis, united states29 Comments on Poll: What to do when peer review feels inadequate? 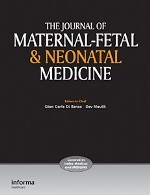 The Journal of Maternal-Fetal & Neonatal Medicine has retracted a 2012 paper by a group of pediatric gut researchers in Naples, Italy, who seemed to have had a visceral reaction to using their own words. provide an update of the advantages of new-generation molecular diagnostics to study the diversity of intestinal microflora and to evaluate its alteration in human diseases. A duo of former University of Queensland researchers have had a third article retracted following an investigation into 92 papers. In September, Bruce Murdoch and Caroline Barwood had a paper in the European Journal of Neurology retracted. Earlier this month, the same happened to a paper in Aphasiology. 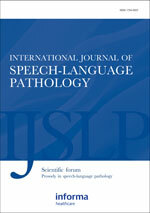 The retraction announced by the university today is for a 2013 paper in the International Journal of Speech-Language Pathology. A neurosurgeon in the UK has lost his 2013 paper on spinal surgery in the British Journal of Neurosurgery for doing what appears to have been an end-run around the folks that did the work. The article, “The management of spinal dural fistulas: a 13-year retrospective analysis,” was written by Denosshan Sri, of Addenbrooke’s Hospital, in Cambridge. Climacteric is retracting a 2013 article by a group of researchers in Seoul who used data from a paper by another duo of Korean scientists also published in, you guessed it, Climacteric. 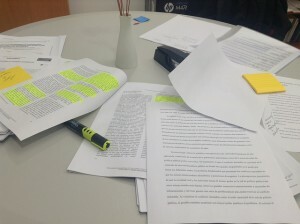 A pair of authors from Italy has retracted their 2012 article in the Journal of Maternal-Fetal and Neonatal Medicine for including chunks of text with a “high degree of similarity” from other published sources. But rest assured: the authors, we’re told, didn’t intend to do so. The article, “Central venous catheterization and thrombosis in newborns: update on diagnosis and management,” appeared in a supplemental issue of the journal covering the proceedings of the XVIII Congress of the Italian Society of Neonatology. 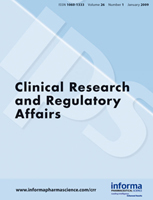 The journal Clinical Research and Regulatory Affairs has retracted a 2012 article on over-the-counter drugs by a trio of pharmacy researchers in India who decided to “reproduce content to a high degree of similarity” from other sources.